Cities like Mission have higher car insurance premiums, according to a Valuepenguin.com comparison of 300 Texas cities. If you were to ask me how much I pay for car insurance, I wouldn't be able to answer that. It's one of those things where once I set it, I forget it. But that's not so for Cristobal Garcia of Mission, Texas. He says to me in Spanish that his insurance costs $170 per month. Multiply that by 12 months and it comes out to $2,042 per year. I asked Ting Pen with Value Penguin about Garcia's premium. Value Penguin is an online finance research firm that recently looked at rates in 300 Texas cities. "We had a couple of cities that featured in our most expensive portion of the study that were located in some of the poorer counties in Texas – Hidalgo, McAllen and Mission," Pen says. For the study, Pen created some fictional characters and got quotes for them in each of these 300 cities. Some of the characters were single, some married, some young, some old. Their quotes varied enormously. The only thing that really made a difference in price was the zip code. In Memphis, Texas, for instance, the average driver pays about half of what Cristobal Garcia pays in Mission. Jerry Hagins is a spokesperson at the Texas Department of Insurance, which regulates insurance carriers. "We do see variations in premiums in different locations," Hagins says. "The geographic location is just one of the factors an insurance company will use to determine the premium that they charge us. They also use our age, the kind of car we drive, what we use it for (and) most importantly our driving record." Hagins says that paying more in one part of the state doesn't mean the premium is not justified. But he says insurance carriers do need to meet some legal requirements. "The rate has to be reasonable, it can not be discriminatory and it can not be excessive," Hagins says. But just because there's a legal standard, it doesn’t mean all carriers abide by it. In 2010, two of the largest insurance companies in Texas, Loya Insurance and Old American County Mutual, were under investigation from the Texas Department of Insurance. Loya Insurance Company and Fred Loya Insurance Agency settled a class action lawsuit just last year. I told Cristobal Garcia all these things and asked him if he had shopped around when he got his insurance. "No, no cheque mas, pero esto es lo mas bajo que me ofrecieron cuando compre mi ultimo carro." No, he says in Spanish, I didn't. This was the cheapest I was offered by one carrier. Garcia knew approximately how much his family and friends in Mission pay and the price he was offered was comparable. Mission, Texas – where 2013 income per capita was just upwards of $17,000 a year – has some of the most expensive car insurance in the entire state. 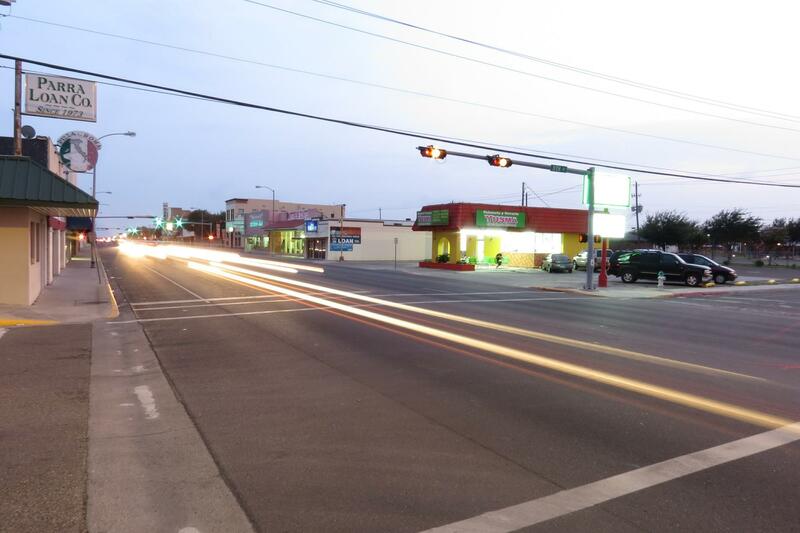 What could drivers in Hidalgo, McAllen and Mission do? Hagins with the Department of Insurance says to call him. "If someone felt like they were being charged an excessive or an unfair rate, they should call us and file a complaint and we would look into it," Hagins says. Unlike GEICO, they don't promise to save you 15 percent or more on car insurance. But they do promise to uphold the law. Find out more information about the Texas Department of Insurance.